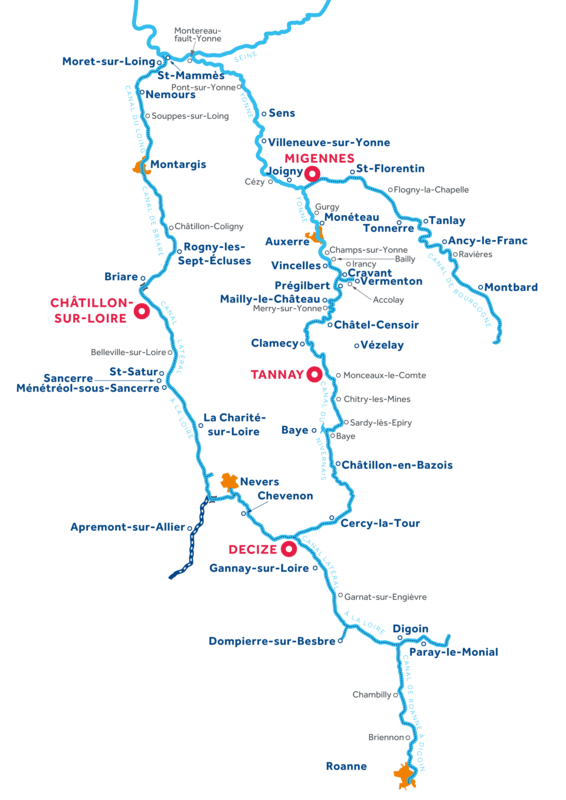 From Decize, a journey north, will take you through the hilly countryside and pretty villages of the Nivernais Valley while historic and thriving Nevers lies just 6hrs to the west. Head south however and Decize puts you in the best place to explore the southern-most part of this cruising region where the towns are full of historic abbeys, cathedrals and museums – great for history buffs. Roanne is a delight to explore, perfect for a two week boating holiday!